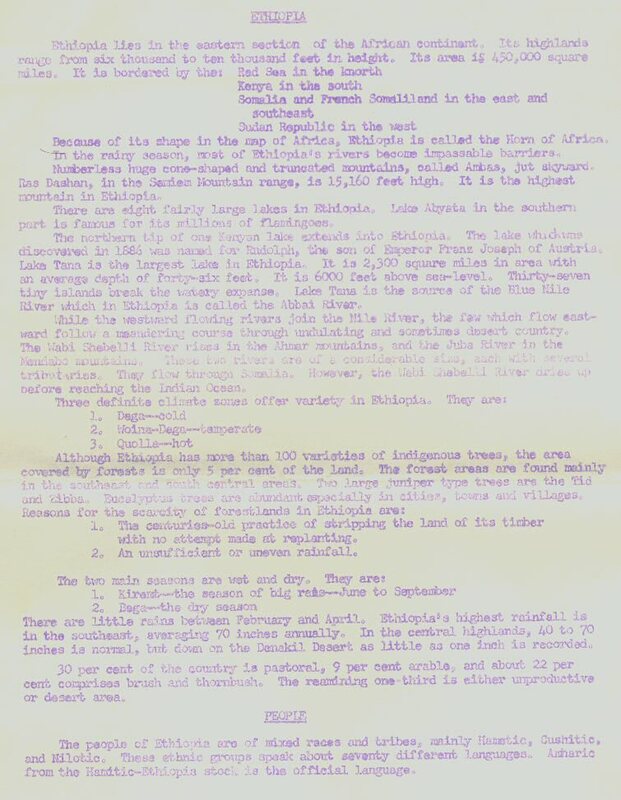 This is a guide that was apparently given to to those arriving at Kagnew, describing many facets of Ethiopia. 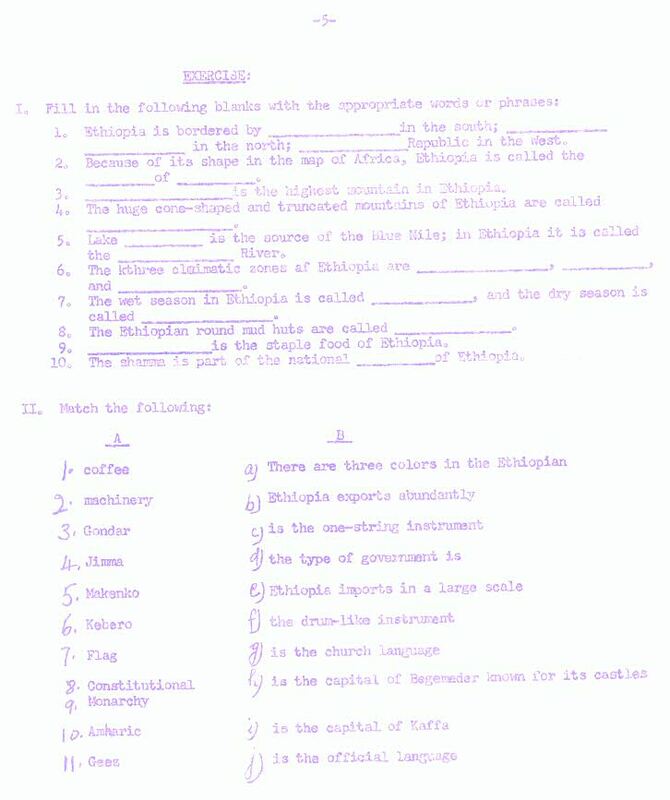 On page 5 there are two exercises to test your knowledge after you've read it. 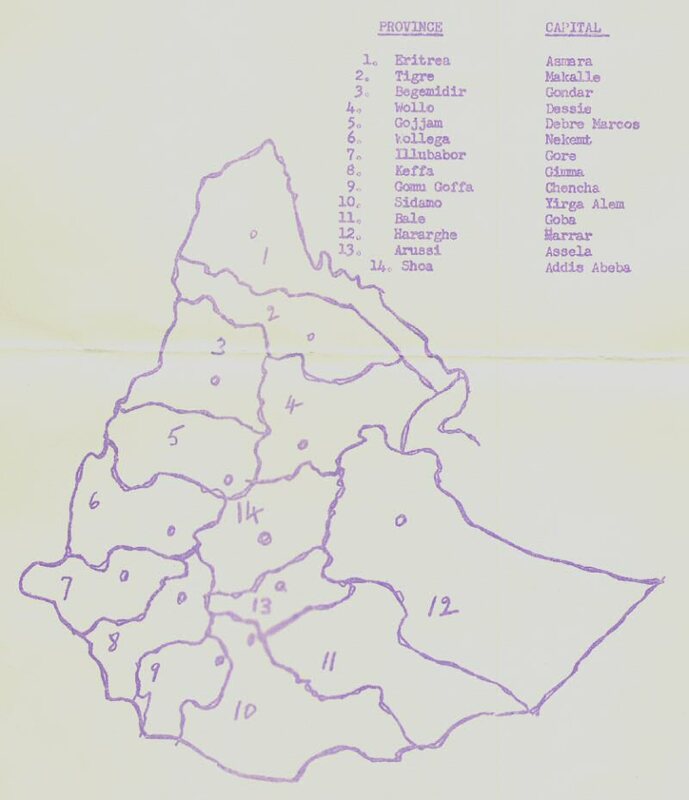 Finally on page 6 is what looks like a hand-drawn map of Ethiopia with it's provinces outlined and listing their names and capitals. Remember this was when Eritrea was still part of Ethiopia. 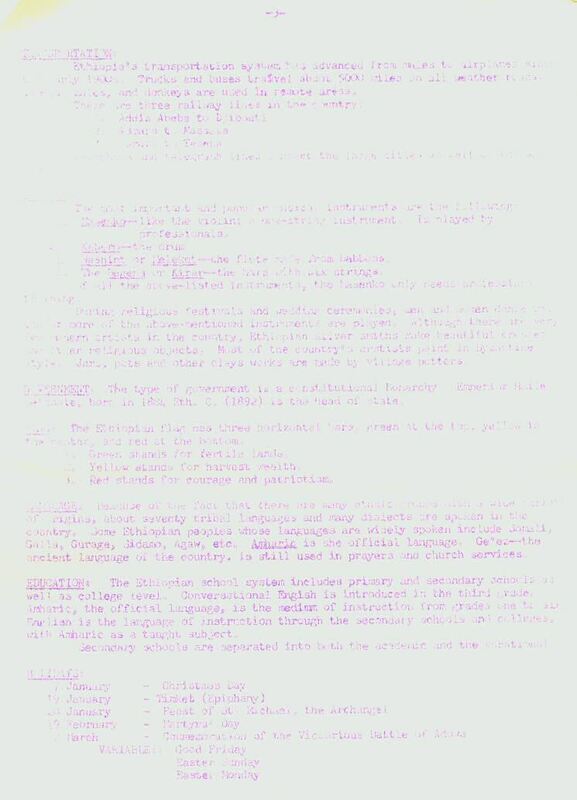 It is a mimeographed copy (similar to what we all saw in school) and the scan quality is very poor. 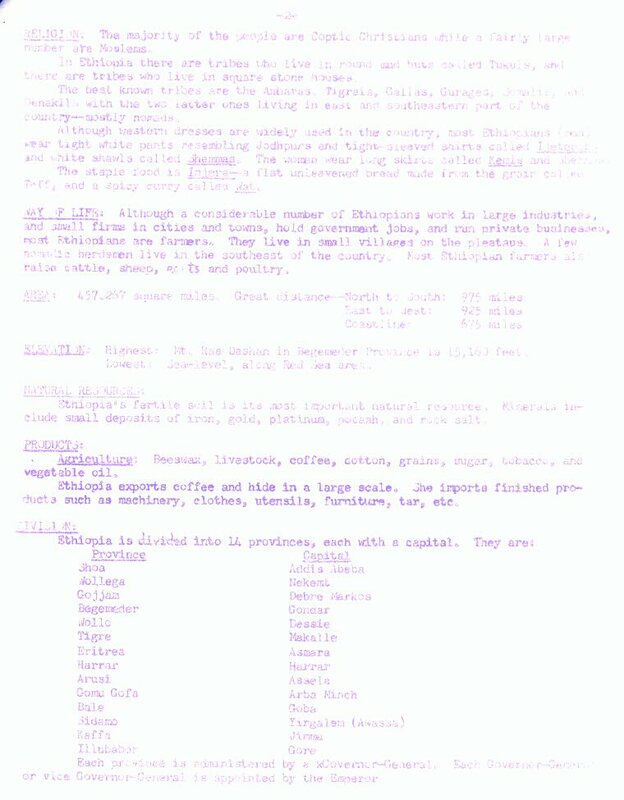 I have scanned it in graphic form so you can see the actual paper, and I have re-typed the entire document and put it in web page format so it is easy to read. I have left all typos and spelling errors and present it as close to the original layout as possible.